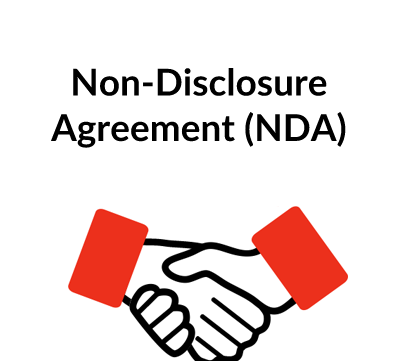 This is a Confidentiality Agreement designed for use between two parties who are involved in discussions regarding a potential commercial relationship or who are involved in an existing commercial relationship, and who intend to exchange confidential information that they wish to protect against disclosure and/or unauthorized use. This form is intended for use in any state in the United States, for a party to a current or potential commercial relationship who wants to protect against unauthorized use of information. 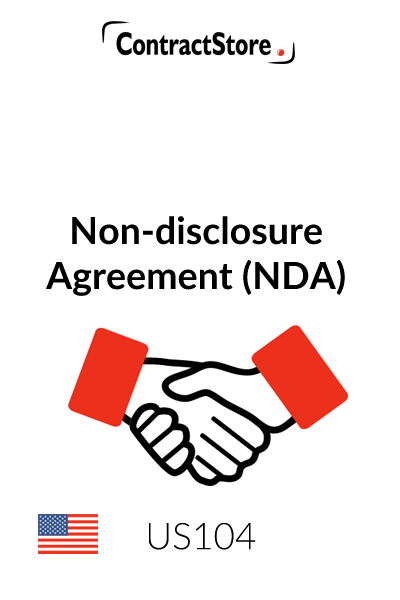 This Confidentiality Agreement is designed for use between two parties who are involved in discussions regarding a potential commercial relationship or who are involved in an existing commercial relationship, and who intend to exchange confidential information that they wish to protect against disclosure and/or unauthorized use. The parties are referred to generically as the “Disclosing Party” and the “Receiving Party”, depending on which party’s confidential information is being restricted. As such, depending on the context, the terms apply interchangeably to each party. 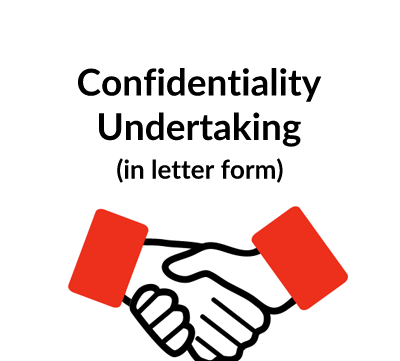 This form provides a good starting point for preparing a first draft of a Nondisclosure Agreement. However, as with use of any form, it is very important to take the time to read the form in its entirety to ensure that it is customized appropriately for use in your individual situation. For all but the simplest of transactions, it can be anticipated that some customization will be in order; and as mentioned above, it may also be advisable to consult with competent legal counsel. The parties’ names and states of residence/incorporation (as applicable) should be inserted at the beginning of the document. The brackets and bracketed language that is redundant should be deleted. As mentioned above, the parties are referred to in the form generically as the “Disclosing Party” and the “Receiving Party”, depending on which confidential information is being restricted, and so no more specific defined terms are necessary. The form can be used either in the context of discussions regarding a potential commercial relationship or in the context of an existing commercial relationship. The brackets and bracketed language that is redundant should be deleted. Paragraph 1.1 contains a relatively standard definition of “Confidential Information”. This should be reviewed carefully for scope, to ensure that some type of information that is specific to the business of one of the parties has not inadvertently been omitted. Paragraph 1.2 contains a number of typical exclusions from the definition. Under paragraph 1.3, the parties can choose to treat the existence of their relationship as Confidential Information; depending on their choice, the brackets and bracketed language that is redundant should be deleted. Paragraphs 2.1 and 2.2 contain the substantive restrictions on the use and dissemination of Confidential Information. Again, brackets and bracketed language that is redundant should be deleted. The dispute resolution provision offers litigation as the only option as arbitration (by its nature) tends to be unsuitable for settling disputes relating to nondisclosure agreements. The blank space in this provision is for the choice of forum for litigation. The provision also memorializes the parties’ intent that specific relief (usually injunctions) be available in any court with jurisdiction if legally permissible. In U.S. litigation, the prevailing rule is that each party bears its own litigation costs (subject to some narrow statutory and other exceptions). The language in paragraph 4.3 is intended to impose the so-called “English rule” to litigation costs. 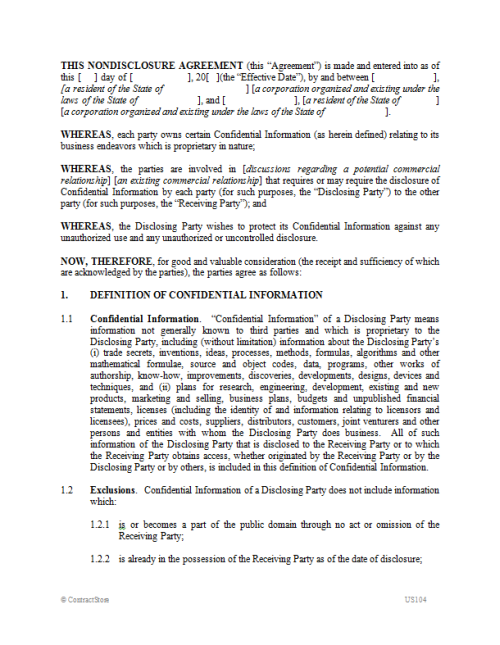 This paragraph obligates each party to return materials containing Confidential Information of the other party upon request of the other party. It also causes the parties’ obligations to survive termination of the relationship between them. Note that this draft does not anticipate a time limit on the parties’ obligations under the Agreement; if one is desired, it should be inserted here. Again, brackets and bracketed language that is redundant should be deleted. • Notice information should be completed in paragraph 6.1. Notice by e-mail could also be added as an option if the parties are comfortable with this method of notice. • Paragraph 6.4 should not be deleted. Most states have moved away from an “all-or-nothing” approach to enforcing illegal or unenforceable contract provisions, and the severability provision in paragraph 6.4 is an attempt to instruct a court to adopt a flexible approach to the Agreement in the event that one or more clauses prove to be illegal or otherwise enforceable, provided that it is still possible for the essential intent of the parties to be achieved.